First of all, we need to ask, are you alright? That’s the most important thing after a collision! Vehicles can be repaired or replaced, so there’s no need to worry about that, especially at Hatheway Collision Center in Bathurst. 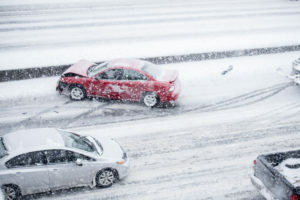 We understand how stressful and scary a vehicle collision can be, and that’s why we’ve laid out a few tips for what to do after you have a collision to make it a seamless process. Make sure you, your passengers and anyone involved is physically alright. During a serious collision call EMS and the police, and stay at the scene. It’s important to not move people out of their vehicle unless you are a licensed medical practitioner. Even if you seem to be fine, it is always best to see a doctor to make sure. You never know what adrenaline and shock are capable of. Make sure to obtain all insurance and vehicle information from all vehicles involved. This also includes contact information for all drivers involved in the collision. Make sure you have insurance information, as well as vehicle license plates and descriptions. Record information about the incident. When filling out a police report later they want you to be thorough. So include road conditions, weather, time and place. Jot down those notes! Contact your insurance company right away and inform them of the incident! If your vehicle needs to be towed, then make sure you tell the tow-truck driver to bring your vehicle to Hatheway Collision Center. Remember it’s your right to get your vehicle serviced wherever you choose! Call us at Hatheway Collision Center to talk through the next steps and inform us of the incident. This is especially important if your vehicle is being brought to Hatheway Collision Center right after the incident via tow-truck. Bring all your insurance and ownership papers to our dealership! Once your vehicle is brought to Hatheway Collision Center we will perform a no charge repair estimate for you to use with your insurance company. Make sure you specify genuine OEM parts and repairs. After everything is worked out with your insurance company, let us take care of repairing your Nissan, Ford or Toyota here at Hatheway Collision Center!